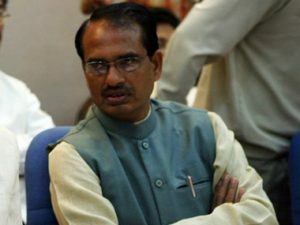 Bhopal: The BJP government in Madhya Pradesh has clicked upon a novel idea by according five Hindu religious figures as Minister of State (MoS) status. The move is with an eye over the coming assembly elections due later in 2018. The opposition Congress Party slammed the move by the party. The order was issued by the general administration department’s Additional Secretary KK Katiya. 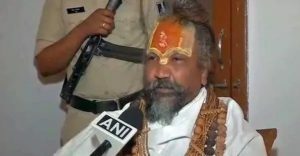 The MoS status was accorded to Narmadanand Maharaj, Hariharanand Maharaj, Computer Baba, Bhayyu Maharaj and Pandit Yogendra Mahant. These five religious leaders were appointed to a committee set up for the conservation of river Narmada. As they have been given membership of the committee, they have also been given MoS status, a GAD official said on Tueday. Assembly elections are scheduled in the state and the main opposition Congress Party alleged that the attempt was made by BJP to exploit the respect of these religious leaders. “It’s a gimmick to score political points. This is also an effort by the chief minister (Shivraj Singh Chouhan) to wash off his sins. He ignored conservation of the Narmada. These saints should inspect where the state government has planted six crore saplings (along the river banks) as claimed by the chief minister,” said Congress spokesperson Pankaj Chaturvedi. State BJP spokesperson Rajnish Agrawal said the Opposition party (Congress Party) dislikes anything related to saints. “Saints and seers were accorded the MoS status to make their work of environment and river conservation easy. The saints were roped in for the Narmada conservation work to ensure public participation,” Agrawal said. Elections for the Assembly in the Central State are slated to be held in the month of November this year. The present government’s tenure ends on 7 January 2019. BJP is the ruling party in the state as of now. There are a total of 230 constituencies in Madhya Pradesh elections. Congress Party is the main opposition party in the state. The accordance of the status for the Religious leaders is the same tactic which the Saffron Party applies to get majority. By raising issues or performing actions which may a send message of Hindutva, the party plays with emotional feelings of common people irrespective of their orientation or thoughts. In many parts of the country after riots in the area, several Left and Congress parties have criticized the methods applied by the Saffron party to win or stay in power.